Everest is open for business! I have been making this journey to Mt. 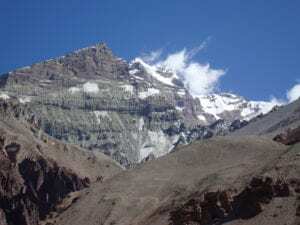 Everest each pre monsoon season for 10 years. This will be my 24 expedition to the Himalaya’s. With talk of lots of rubbish and human waste in the region. We are committed to making sure our staff friends and family in lodges understand the need to carry out waste and need for a recycling program. Education is the key and we all have a responsibility to make sure the attitude changes. Where possible we recycle and do not encourage our clients to drink the bottled water. We use lodges we know well and the quality of the water is perfect and once treated with water purification tablets it is fine to drink. Eating vegetables and food from the region is the best way to support locals and organic food rather than buying pringle chips, coke and other items that can not be recycled in the region. Also porters are carrying heavy loads of items only westerners are buying and using. Think about what you eat and drink and support the local people as much as possible. I look forward to arriving in the Khumbu (Everest region) on Sunday morning and get back in touch with my friends from this amazing country and region of the world.